Old or Young, the desire to help other people is something every one can have. Here at Kozmoz, we have several senior citizens that dedicate their time to helping the needy. Im sure there are more people like that with time on their hands that would like to make a difference in someone’s life. 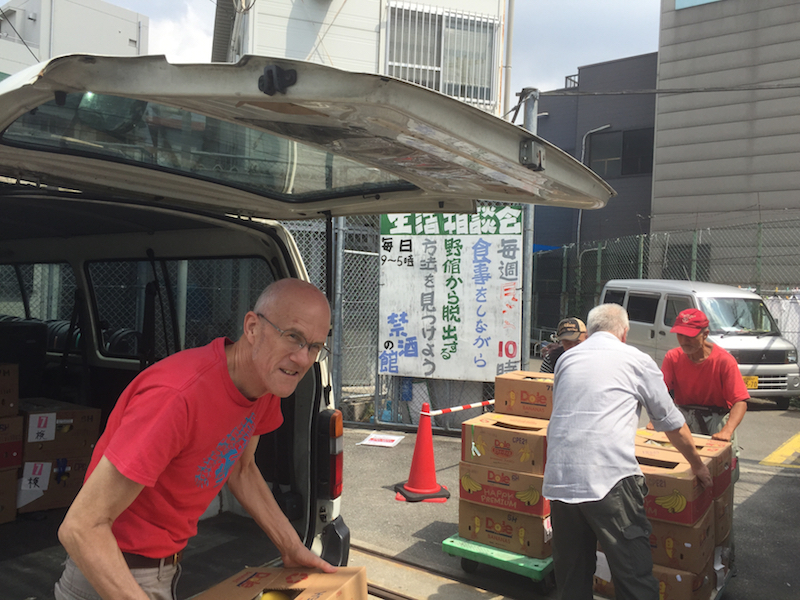 Take Nick here for example, He is 69 years young and though having an incredibly busy schedule he makes time every week to drive out to the port in Kobe and pick up fresh fruit, pack his car to the brim and then drive over to Nishinari to drop them off at a homeless shelter. This goes without saying but it takes quite a bit of time to accomplish this. But Nick does this almost every week. The reason? Simply just to help out his fellow brother in need. If you have some time, there is a place for you as well!